Damian Lillard may be enjoying a little R&R right now, as the NBA offseason is in full swing and he’s not partaking in the all-consuming whirlwind that is free agency this offseason. 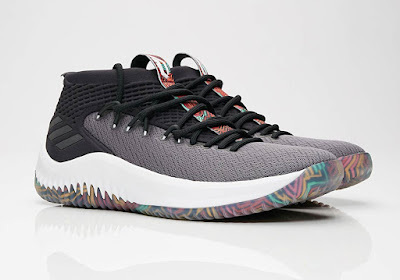 However, that doesn’t mean that his adidas signature line is taking any time off as a new “Summer Pack” take on the Dame 4 just released. 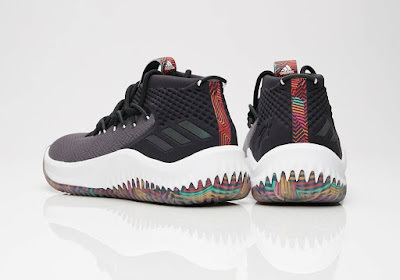 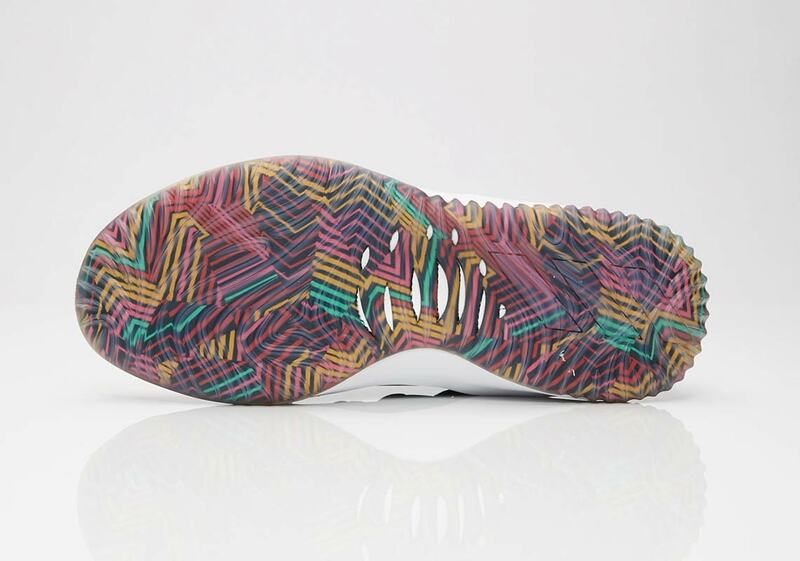 Featuring a two-piece upper composed of a grey toebox and midfoot/black throat, heel, and collar, the shoe’s main accents arrive via a colorful 90s-style tribal print that adorns the tongue/heel tabs and appears again under the translucent outsole. 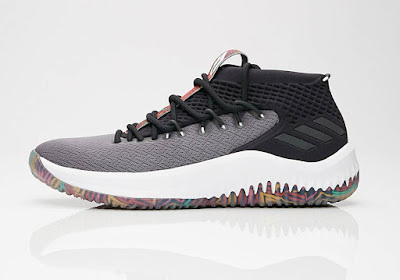 A small three stripe logo hit arrives by the heel on the shoe’s lateral side, and the look is completed with a straightforward white midsole featuring high-performance Bounce cushioning. If you’re in need of a new pair of hoop shoes for the summer, this colorful Dame 4 is available now from select retailers for $120 USD.